6 Bedroom Detached House For Sale in East Sussex for Asking Price £1,495,000. 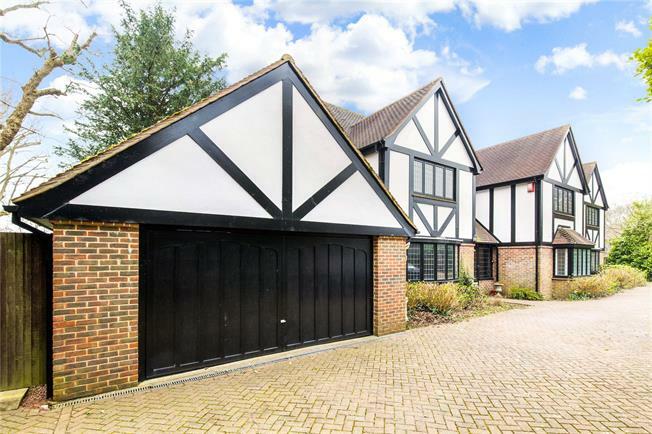 With internal accomodation approaching 4000 sq ft this is an extremely spacious 6 bedroom detached family house. Located in a prestigious location, at the junction of Dyke Road Avenue and Tongdean Road, within the Tongdean conservation area, this family home has an Elizabethan/Tudor feel and offers highly versatile accommodation that can be adapted to suit your own lifestyles and personal requirements. The property has been built in the 1930s mock-tudor style, and has character and charming features and attributes but in fact was constructed more recently. With the ground floor comprising living room, kitchen-breakfast room and snug, as well as 2 conservatories and an additional 5 rooms which could be part of the annexe if required. The first floor houses a huge, magnificent master bedroom suite including the bedroom itself, a dressing room and an en-suite bathroom, as well as 4 further bedrooms and 2 bathrooms. This very generously proportioned family home is set back from the road behind a secure gated driveway which, together with the double garage, offers an impressive amount of private off-road parking. Conveniently situated with access to the A27 and A/M23, the property is also ideally positioned close to the surrounding countryside (including the South Downs National Park and Devil’s Dyke) and the city centre. This very generously proportioned family home is set back from the road behind a secure gated driveway which, together with the double garage, offers an impressive amount of private off-road parking. Large paved areas wrap around the house with numerous shrubs, including lavender, rhododendrons & tall fir trees in the borders. The two rear sun-rooms offer peaceful, sunny spots to retreat from the hubbub of daily life and offer an idyllic place to admire the mature and easy to maintain flowerbeds. security gates to private driveway.